Five institutions based in France, Italy and Poland came together to share their resources and establish a simple and flexible method to effectively conserve the heritage of Europe’s historic houses. The Château de Versailles and its Research Centre, the Network of European Royal Residences (ARRE), the Foundation Centre of Conservation-Restoration “La Venaria Reale” in Turin and the Museum of King Jan III’s Palace at Wilanόw in Warsaw joined forces to establish a new approach to the conservation and presentation to the public of European historic houses and their contents. The Jury commended this project for its “holistic approach to conservation across three relevant areas: the monument, the décor and the collection”. Europe’s historic houses number in the thousands. Several hundred of these important houses are open to the public and exhibit their collections within the original setting, ensuring the transmission of its history to the wider public. The conservation of these historic collections is intrinsically linked to the environments of the monuments in which they are housed and presents several diverse obstacles to their conservation. The climatic conditions, lighting and the effects of a regular stream of visitors, along with conservation measures which are often unadapted to the specific needs of each house, combine to pose a very complex and specific set of issues. 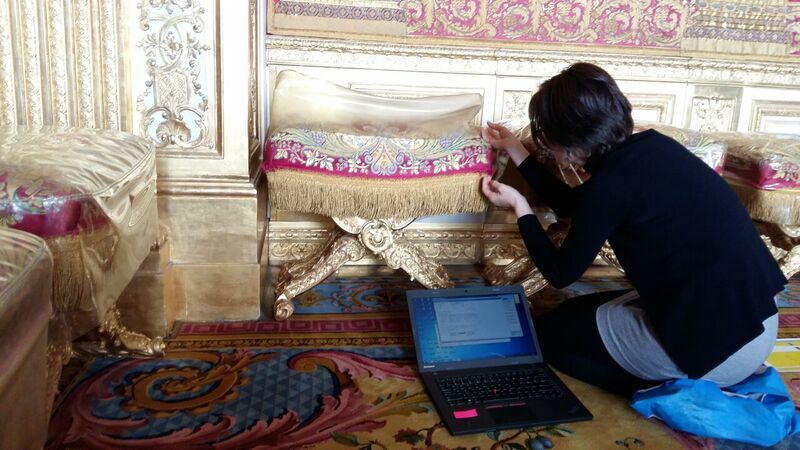 The tools developed in the framework of EPICO – European Protocol in Preventive Conservation enable the reasoned and sustainable management of these collections. The approach is based on a systemic assessment strategy in which the conditions of conservation, the state of conservation of the collection and the presentation of the works are analysed. The application of this new method permits the development of a strategy for preventive conservation in Europe’s historic houses with the goal of preserving the present state of the objects, slowing down the rate of deterioration and limiting the need for restoration. “The EPICO programme has provided a methodology for rational decision-making based on conservation-restoration policy priorities. This approach has the potential to become a powerful tool in European heritage preservation policy, serving as an example to follow for similar collections”, the Jury stated. “The approach is a good example of the integration of theory and practice in conservation. The original research has tangible effects in its practical application and the approach has a direct impact on the long-term preservation of cultural property. The result highlights the importance and potential of preventive conservation,” the Jury added. “The EPICO programme takes advantage of European expertise to achieve this goal. The publication of the work in four languages (English, French, Italian and Polish) represents further evidence of the strong European dimension of this project. Combining the financial resources of the project partners enabled the study to have a higher impact”.